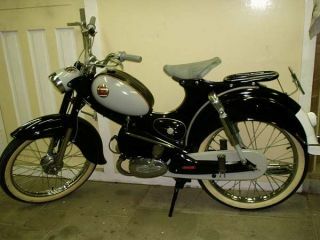 At age ten or eleven a Solex was given to me. My parents warned me NOT to take it on the street. So I fixed my kick scooter. 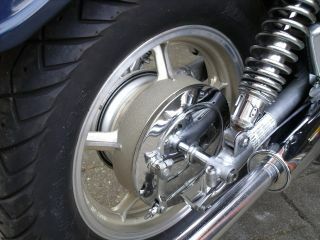 The proto-type had the Solex engine on the rear wheel. 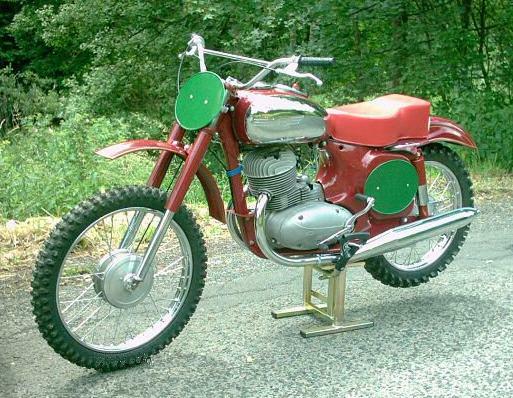 which I striped and used as a dirt bike. At 16 I got my dad's moped. 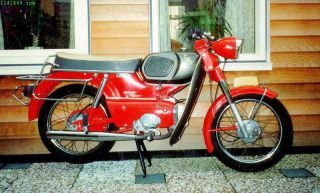 A Batavus with JLO engine. 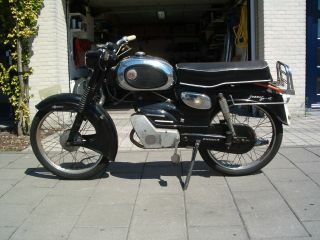 Later, when I made some money I bought my first real bike (moped). A year or so later I bought a Zundapp. But it did not go fast enough. I liked dirt bike racing so I needed more power. After the mopeds it was time for the real work. 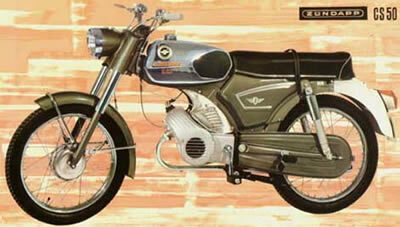 A Jawa with a CZ twin engine. 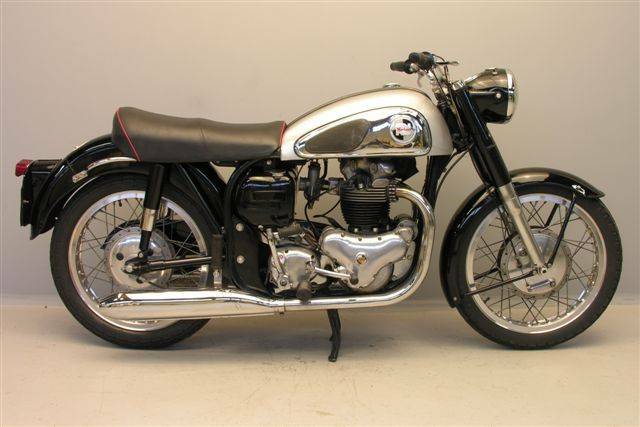 At 18 I bought a 1956 Norton Dominator 600. Still regrets that I sold it later. 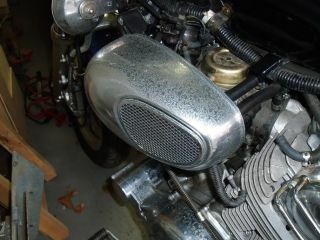 Started with a Honda CX-500. 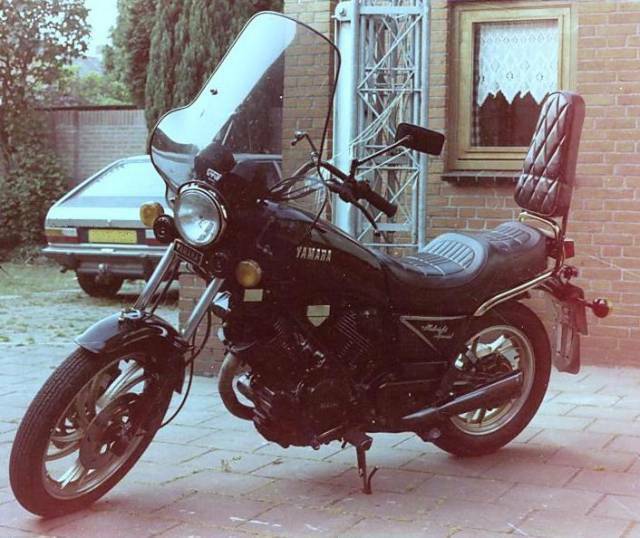 I got the feeling again and went for something bigger... A Yamaha TR1. 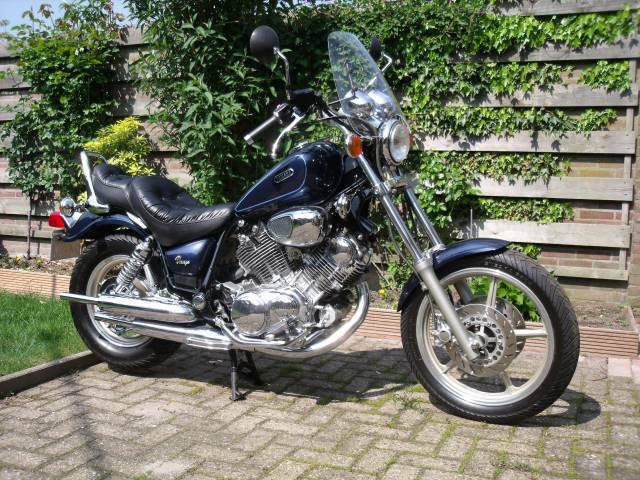 The Yamaha XV1000 Midnight Special. 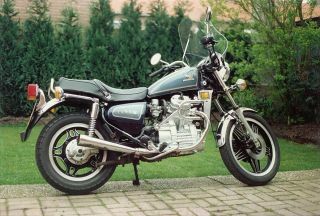 A planned holiday trip to Italy and a test ride on a BMW K100 made me decide to buy a BMW 1000cc 4-cylinder with fuel injection. This bike is perfect and all round. 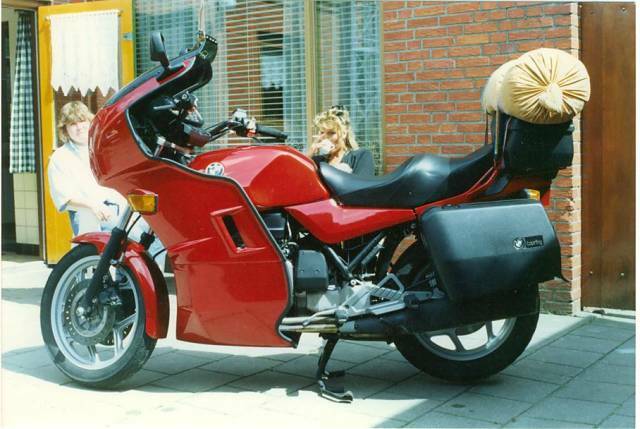 So after a few year on the bike above I bought a new BMW K100LT in 1991. 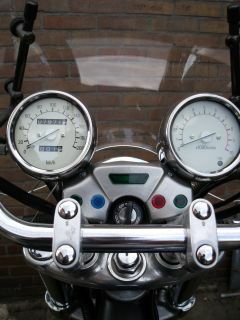 Now, 2015, it has 135.000 km on the clock and still runs fine :-) . Who needs another bike? 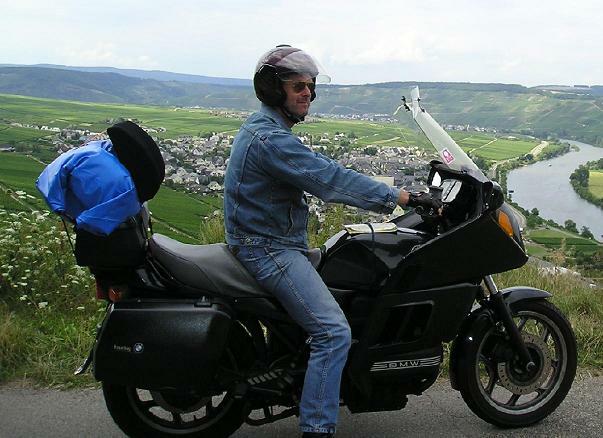 With my K100LT riding along the river Mousel in Germany (2005). 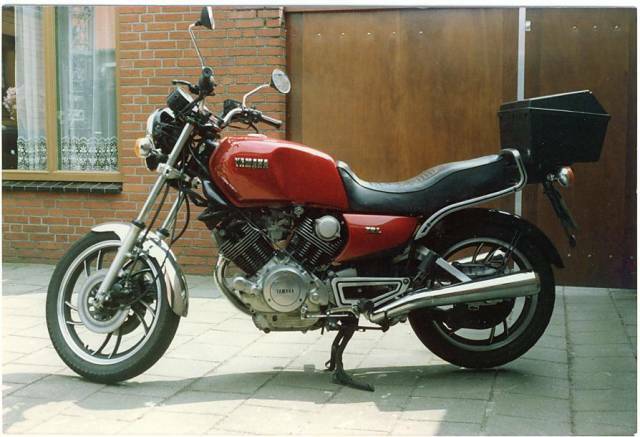 I bought an 1993 Yamaha Virago 750 which had been standing in a garage for eight years. Some work to do! 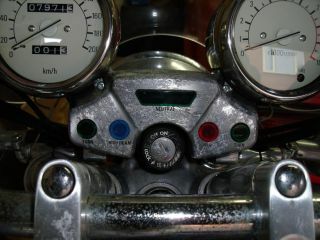 .. it was pristine.... One beautiful bike back on the road :-) .